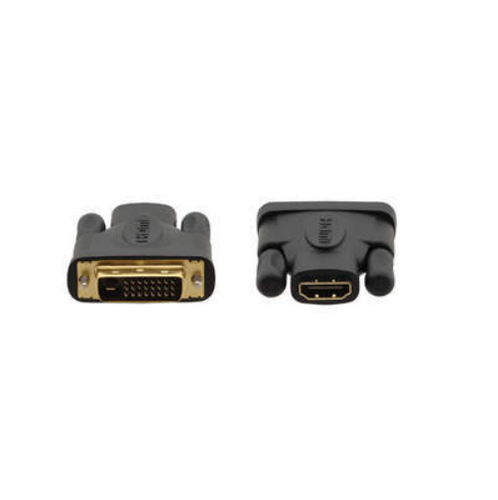 We are offering DVI-I (F) to HDMI (M) Adapter to our clients. We provide high-quality products to our clients. With our rich industry experience of 39 years, we have established ourselves as a distinguished organization involved in supplying and exporting of Cables, Wires and Associated Accessories. Our wide range of products includes VGACables, Data Cables, Coaxial Cables, Projector Cables, Telephone Pair Cables, Multicore Round Cables And Mike Cables. Apart From This, We Also Manufacture Flexible Wires & Hookup Wires, Ribbon Wires, Patch Cords, Panels Wire and Face Plates. These products are highly appreciated for various features like durable finish , chemical & thermal resistance, high performance and shock resistance. Moreover, these products meets all international quality standards such as L.C.S.O., U.L., M.I.L., B.S., D.I.N., I.E.C., I.E.E.E. and I.S. Our wide range of Cables and Wires finds applications in chemical plants, fertilizer plants, petro-chemical plants, paper mills, cement plants, sugar mills and fabrication units. We are successfully catering the business requirements of our client spread across the globe. Our overseas clients belong to USA and European & Middle East Countries.